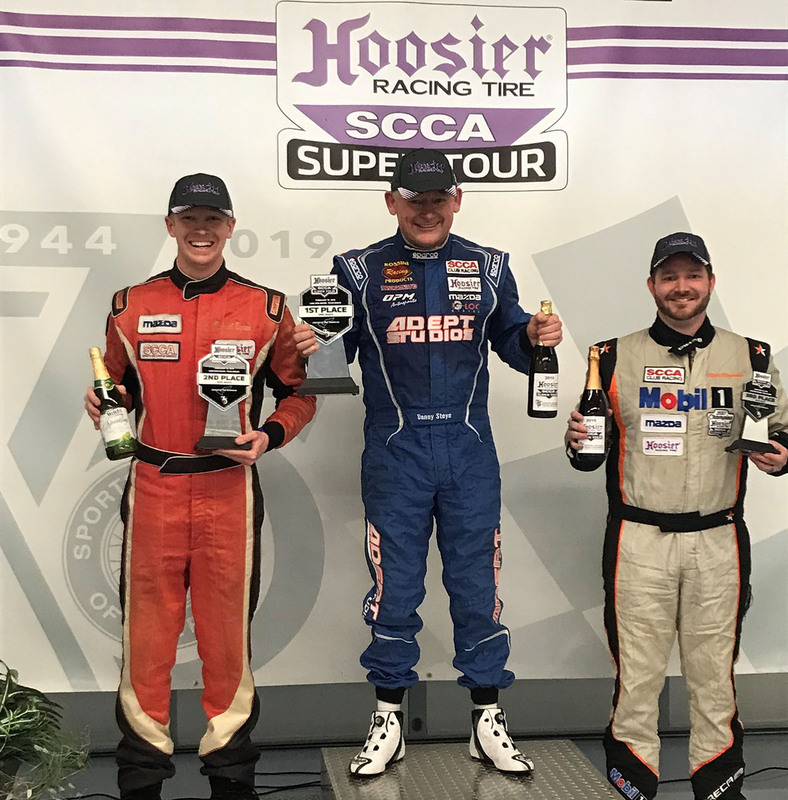 The 2019 SCCA Hoosier Super Tour made its 2nd stop of the year at Austin’s famous Formula One track, the Circuit of the America, more commonly known as COTA. 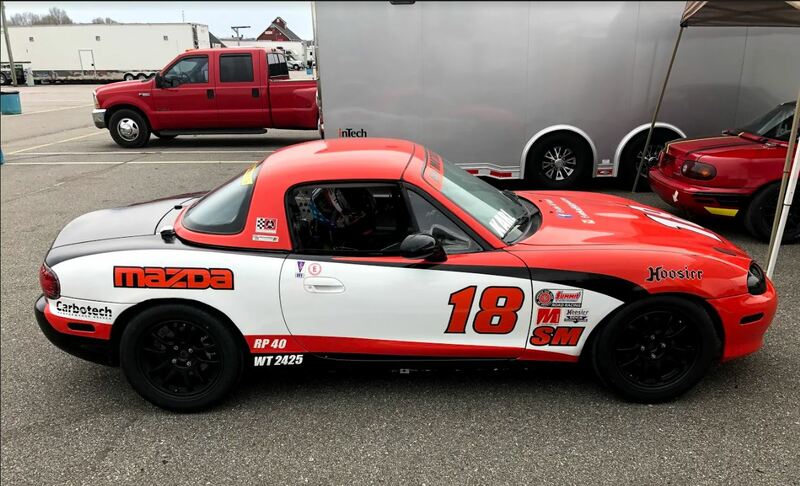 Close to 40 of the top Spec Miata drivers in the country showed up to compete on this tough and technical track where local knowledge has proven to be an asset. In Qualifying One, Rossini driver Michael Carter was the early pole sitter, until fellow Rossini driver Danny Steyn laid down a 2min 40.004 and then that was bettered on the last lap by Jim Drago who ran a 2:39.82 to relegate Steyn and Carter to 2nd and 3rd respectively. Local Texas native Michael Ross qualified 4th with Nick Leverone in 5th. 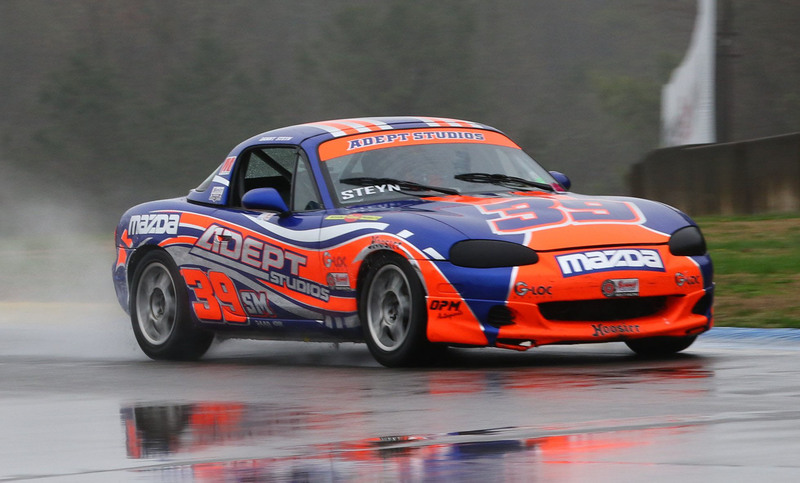 The 2nd Qualifying Session was run in wet conditions and Steyn handily won the session with Leverone and Carter in 2nd and 3rd, but no one was anywhere close to the dry times of Q1, but drivers were expecting possible rain for the race sessions, so learning the rain line was critical. Much was said on the PA, and at the drivers meeting about a zero tolerance for exceeding track limits, so everyone was on their best behavior trying to stay within the limits. 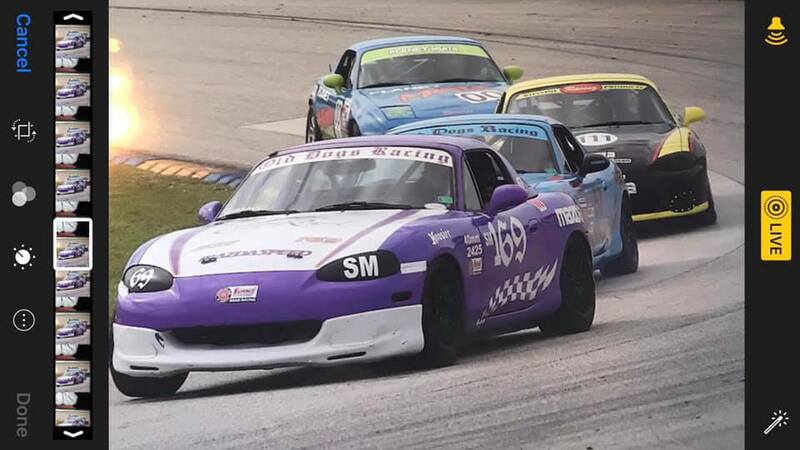 At the start of Race 1, there was the inevitable stack-up going into Turn 1 with several cars being hit in the rear and forced wide. Drago got into the immediate lead with Steyn on his tail followed by Carter and Ross. Drago and Steyn started to edge out a little lead, and then on lap 3, Steyn made a dive going into T12, but Drago did the over-under and got the position back. However, this allowed Carter and Ross to close right up. Drago and Steyn ran in single file for the rest of the race with Steyn attempting a pass in the same place on the last lap but was not close enough to complete the pass. Drago hung on for the win over Steyn by two tenths of a second. Ross held out over Carter for 3rd place. Those that went out in the wet qualifying session were rewarded when Sunday’s race turned out to be on a cold wet track. 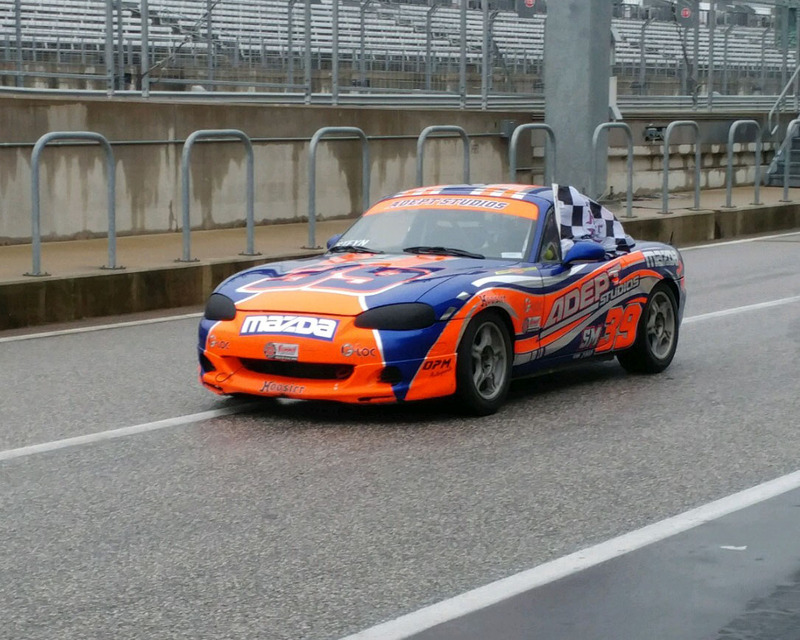 Although hit hadn’t rained for some time, the cold temperature ensured that the track wouldn’t dry out. For Race 2, the front row was the same, with Drago on pole and Steyn alongside. Going into the tight 2nd gear turn 1, Steyn had the lead but Carter was hit from behind and that forced Steyn wide. But Steyn came out with the lead and immediately opened a gap over Carter. At the end of lap 1, Steyn had a lead of 2 seconds and he slowly increased that lead to 8 seconds by the end of the race. 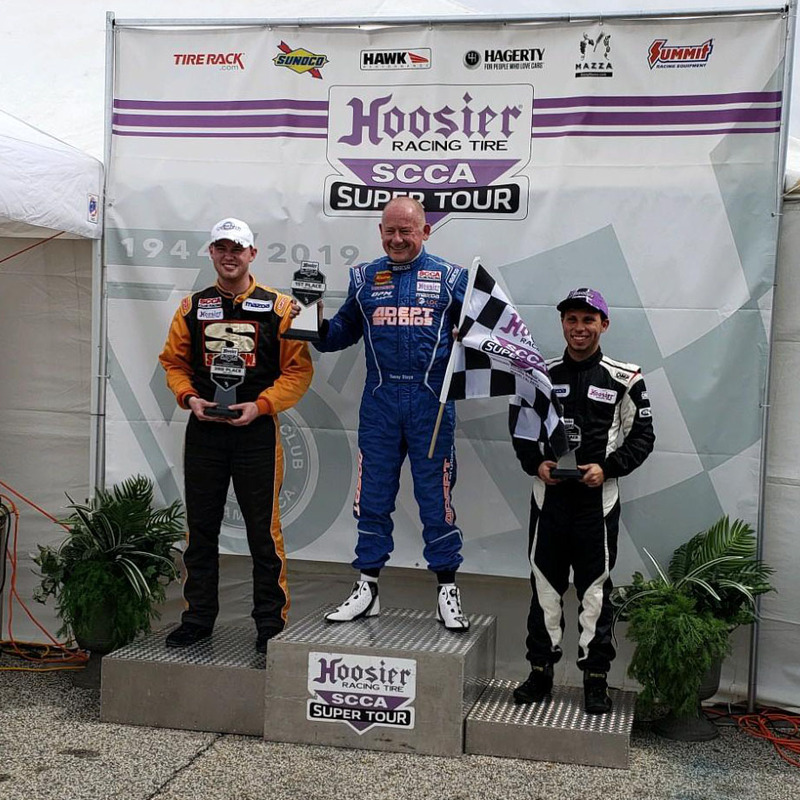 Matt Reynolds drove a stellar race in the wet finishing 3rd, Trevor McCallion finished 4th and Jim Drago was 5th. Steyn also ran the fastest lap of the race at 2:55.502, more than 13 seconds off the dry race pace. 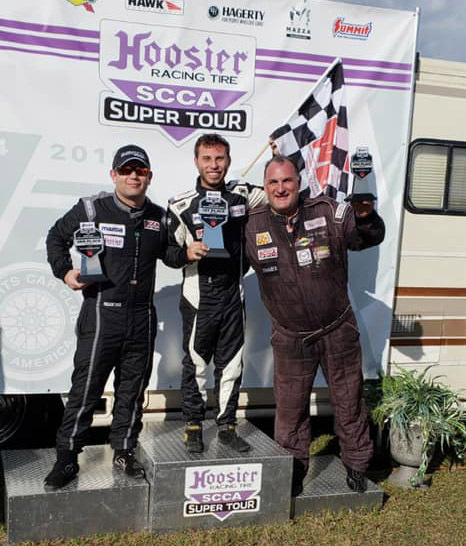 The next stop in the Hoosier Super Tour takes place at Road Atlanta March 15-17.